At John Smedley we take pride in producing fine gauge quality knitwear that is made in England. We also take pride in our Derbyshire roots where we have been knitting for 235 years. With this in mind we wanted to do something a little special. 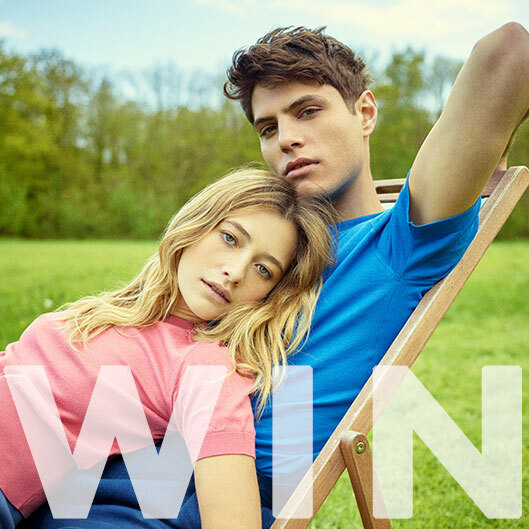 We are offering one lucky customer the chance to win a £500 to spend on our online store*. What better way to stock up on your John Smedley favourites? Choose from contemporary, essential styles in classic shades as your wardrobe staples or add a pop of colour in one of our new fashion pieces. If you would like to be in with a chance of winning, simply submit your details below. This offer can only be redeemed from our online store found at: www.johnsmedley.com. The competition ends at midnight on 31.03.19. Finally, the competition winner will be notified within 14 days of the competition end date. Receive the latest offers and updates via email from John Smedley. We promise to look after your email address, and won't bombard you with messages.